The thought of undergoing oral surgery usually elicits feelings of anxiety and fear for patients. If it is your child that needs surgery, the emotions are intensified even more. At Prestige Oral Surgery, we know firsthand the many worries, concerns, and questions that parents face in this situation and we are here to walk you through every step of the process. Every procedure entails an initial exam consultation. Here, we provide a thorough explanation of a patient’s diagnosis and our surgery plan. This part of the process can be difficult for your child to understand, so as a parent, it is helpful for you to do some research and explain the procedure to your child in a non-threatening and easy to understand way. Doing so is essential, because it is critical that your child knows what to expect before heading into their procedure. Our patients and their parents can take comfort knowing that our practice specializes in treating pediatric patients in need of oral surgery or sedation dentistry. Dr. Mohammad Erakat is trained and experienced with treating patients of all ages who have special needs or complex dental and health issues. He is committed to making sure that every patient can get the oral care he or she needs. We strive to ensure that every trip to our office is a pleasant and enjoyable one for children and parents alike. 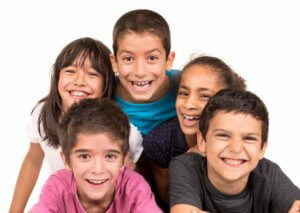 If your child needs oral surgery and you have questions or concerns, do not hesitate to contact our office. Call our office today at 732-297-7000. We look forward to meeting you and your child and easing your fears about pediatric oral surgery.